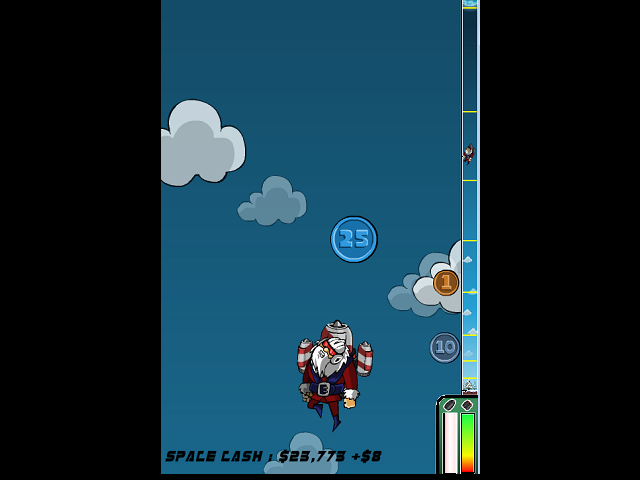 Games about Santa riding a rocket gathering currency. I asked Etienne: - “Hey, do you want to make a christmas game this weekend?” - “Why not?” So we did, it took us 24h, and the game was done. The result is surprisingly cool though! It’s super easy to control, and really addictive. The soundtrack is good, and Santa’s falling scream makes me laugh everytime. Best voice acting I ever did. There are currently no trailers available for Rocket Santa. Check back later for more or contact us for specific requests! There are currently no gifs available for Rocket Santa. Check back later for more or contact us for specific requests! 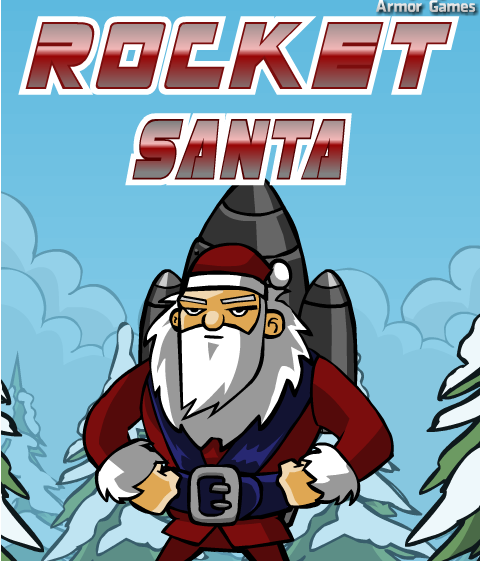 There are currently no logos or icons available for Rocket Santa. Check back later for more or contact us for specific requests!